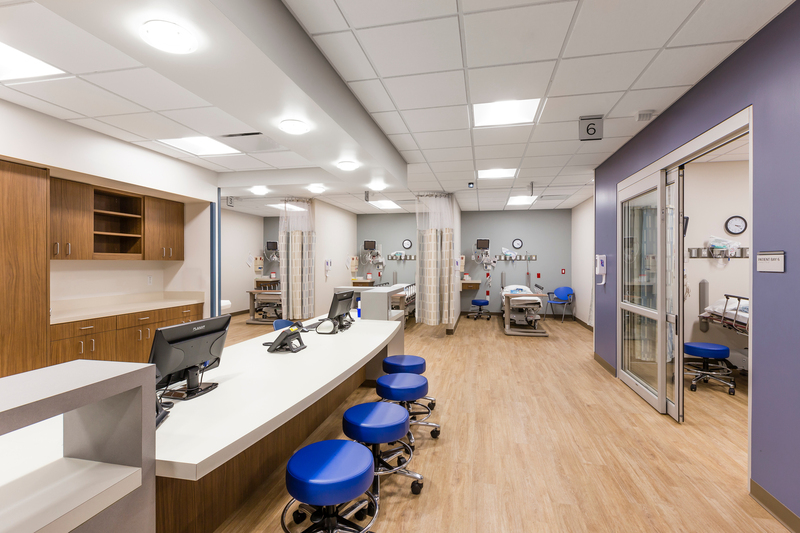 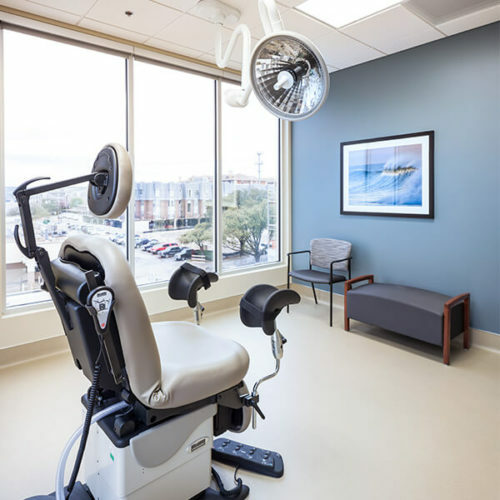 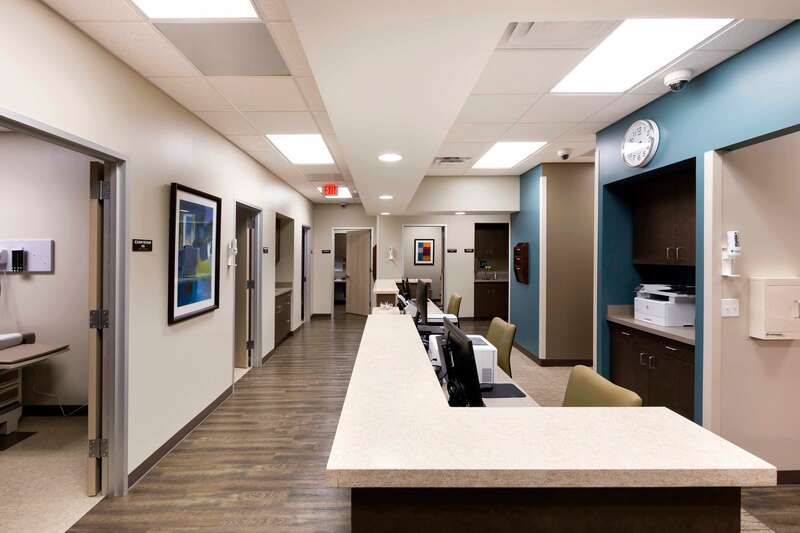 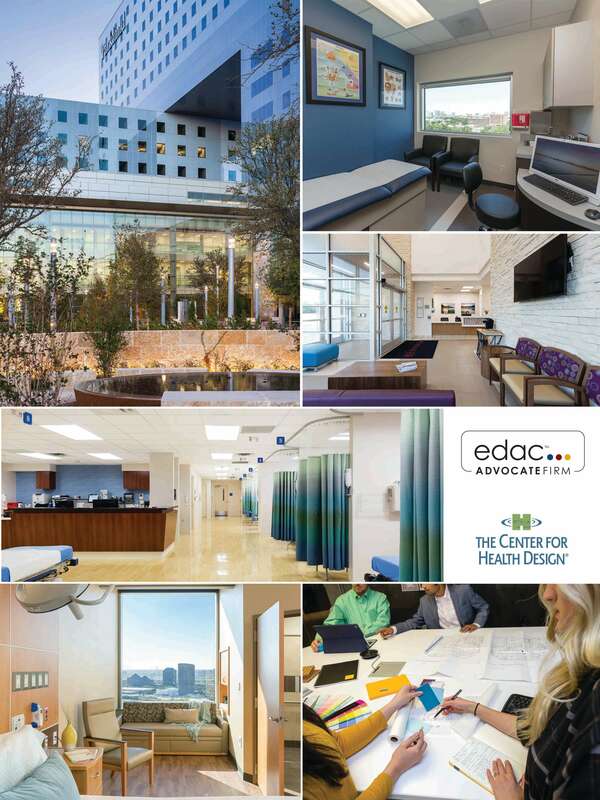 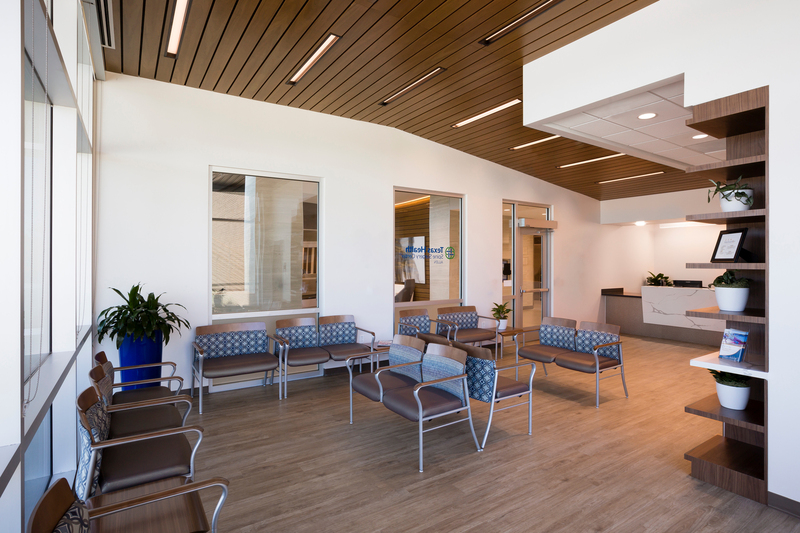 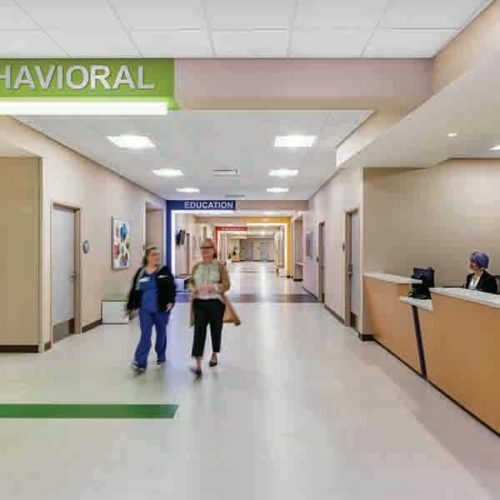 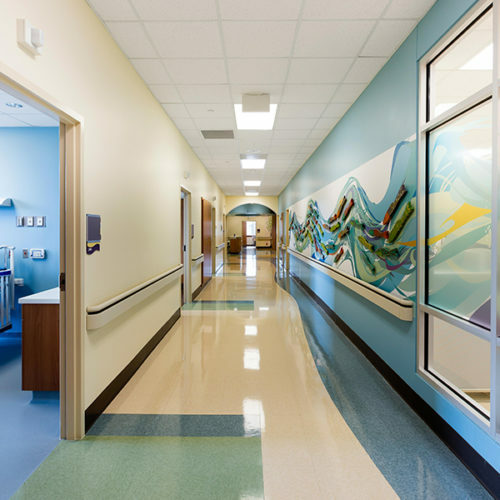 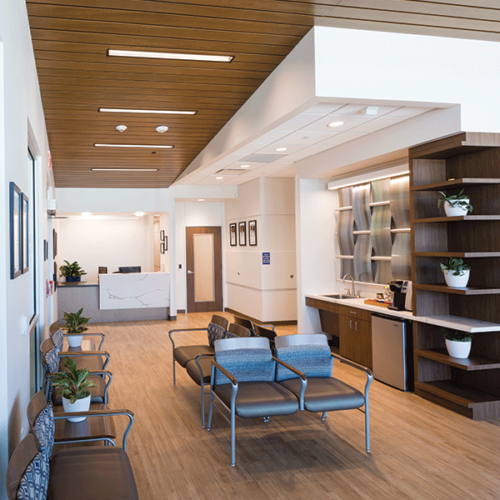 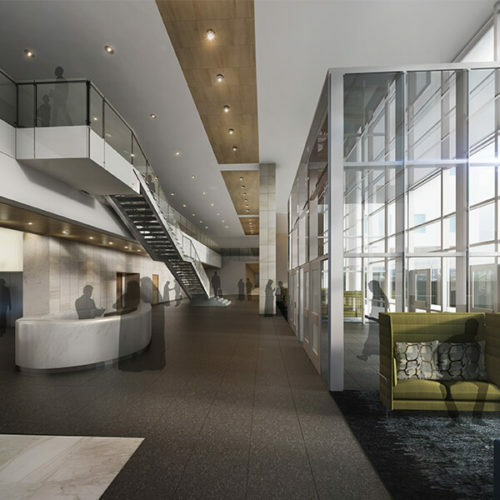 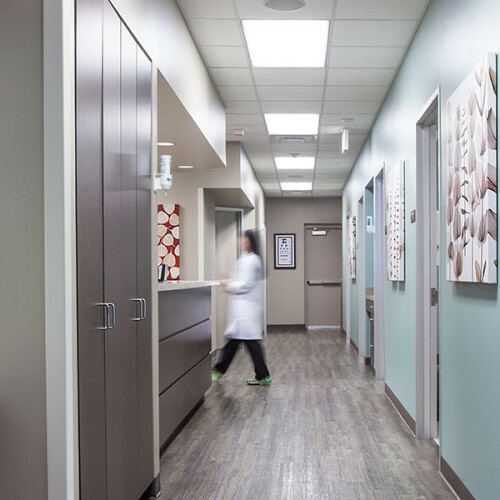 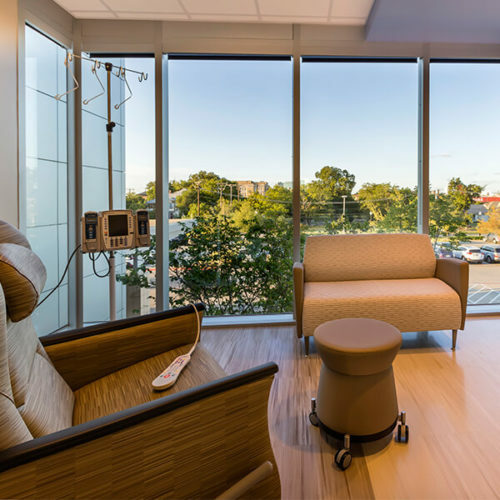 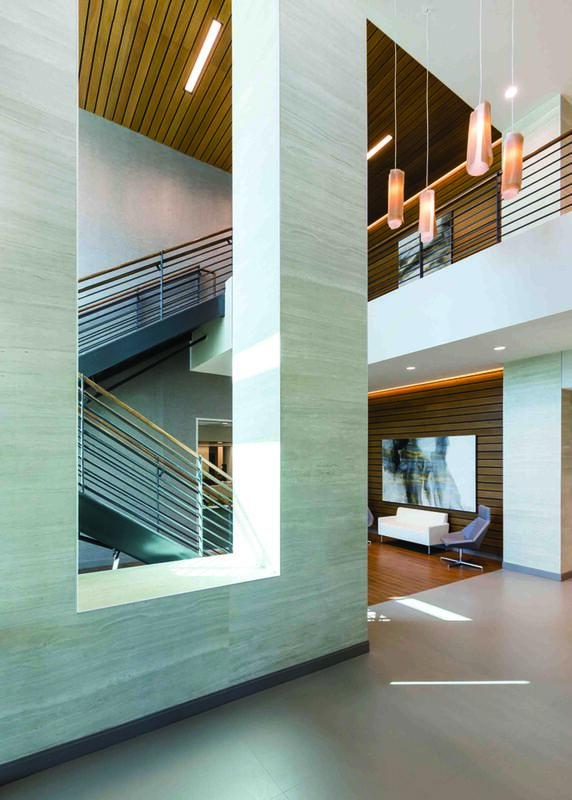 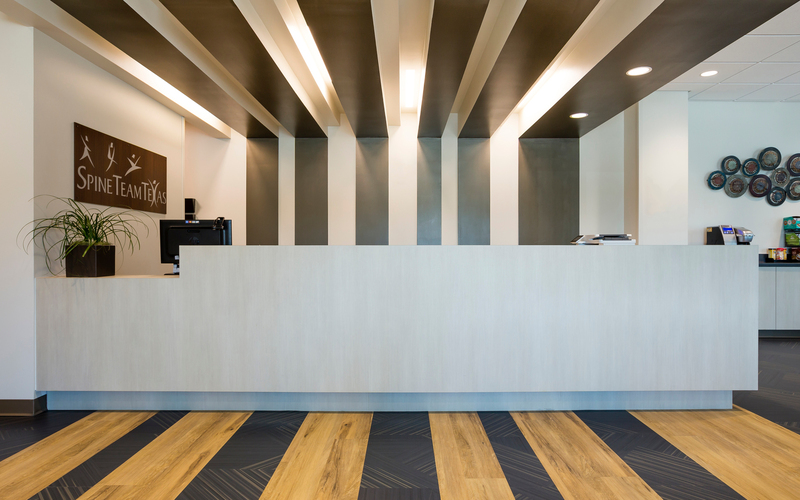 This surgery center is designed to provide a comfortable, stress relieving waiting room and the efficient facility configuration provides simple patient circulation with separated, covered entry and discharge points. 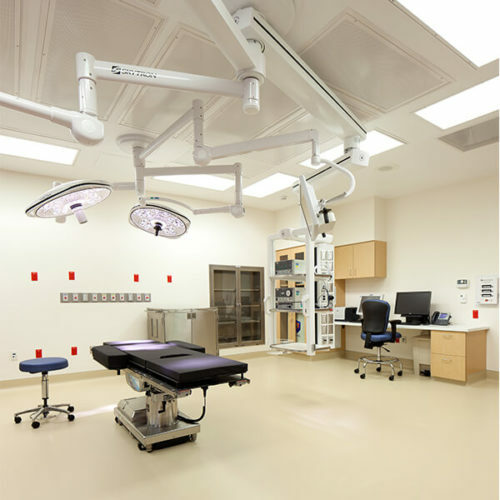 An enclosed patient room, can serve either Pre-op or Post-op needs. 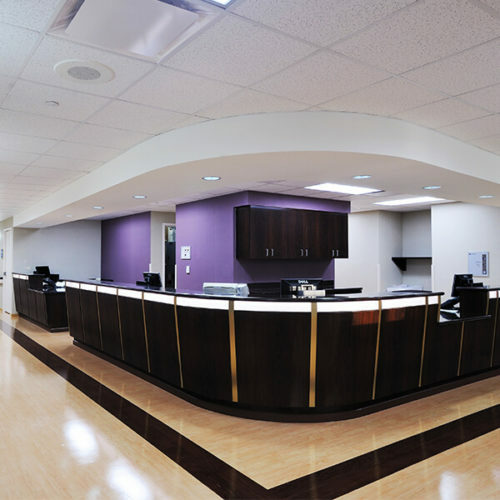 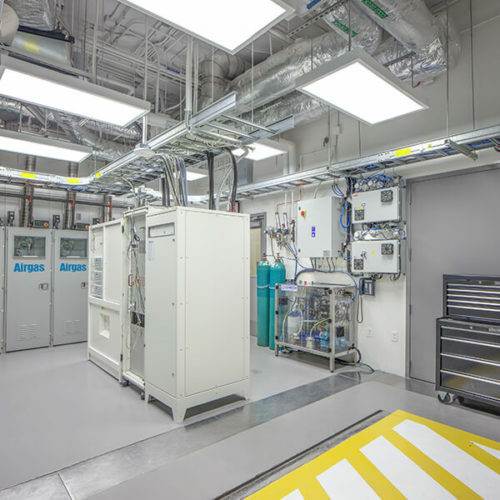 The facility includes on-site sterile processing. 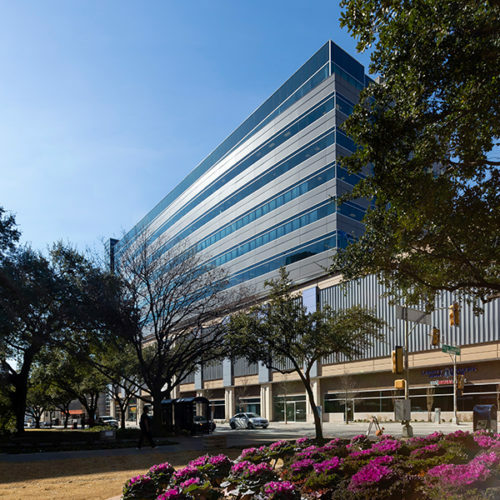 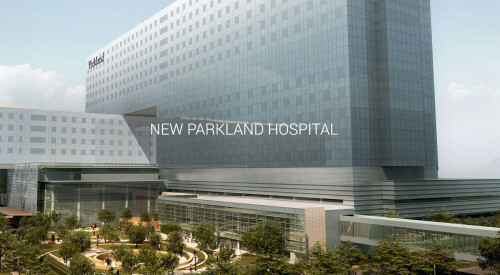 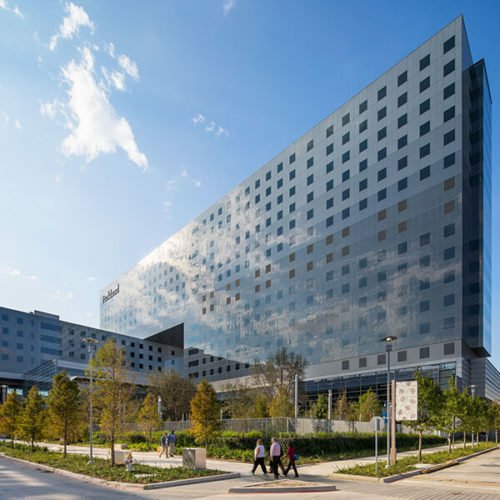 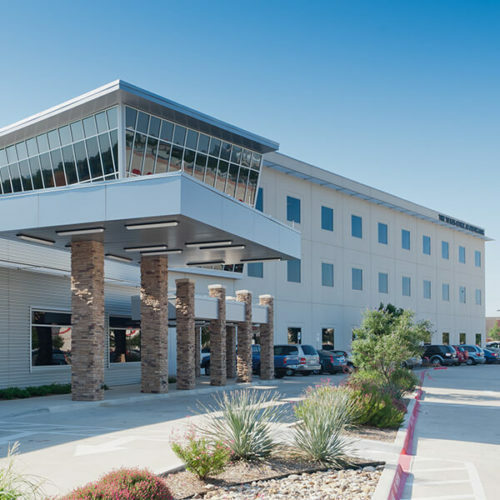 The Allen location is on a hospital campus and falls within a planned development. 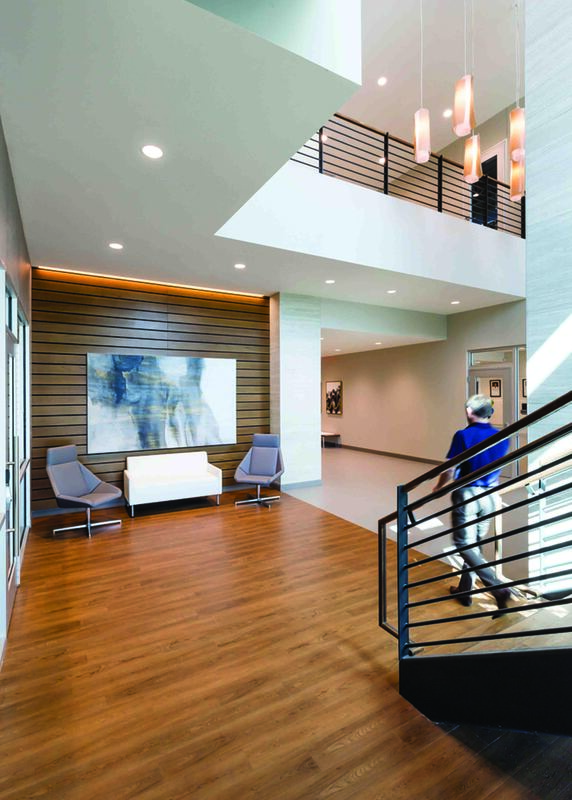 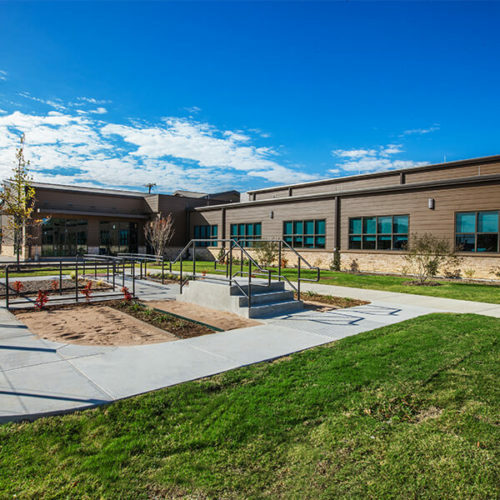 The facility was designed to blend with the existing campus but project a more modern, updated style from the other campus buildings. 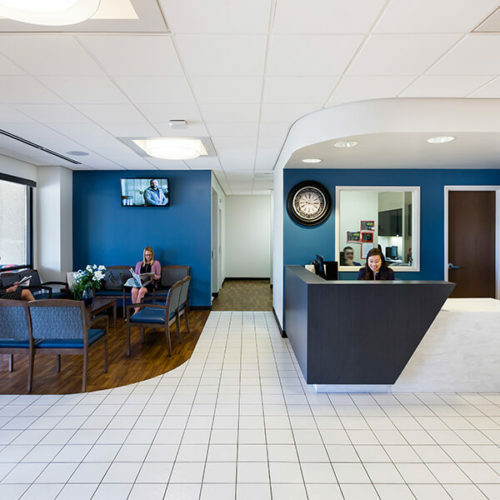 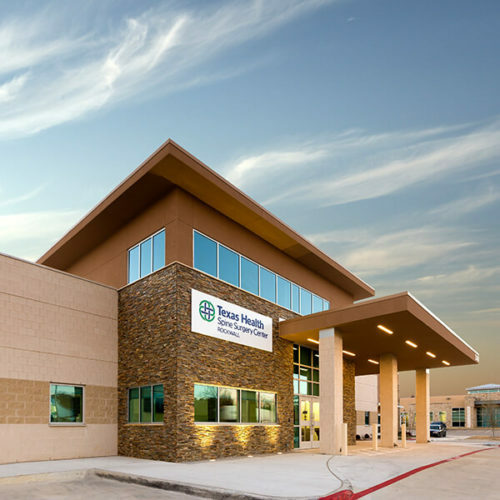 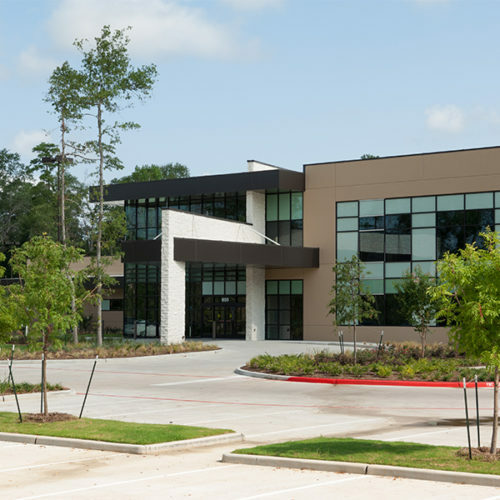 The facility housed the SpineTeam clinic spaces in addition to the ASC for both patient and physician convenience.